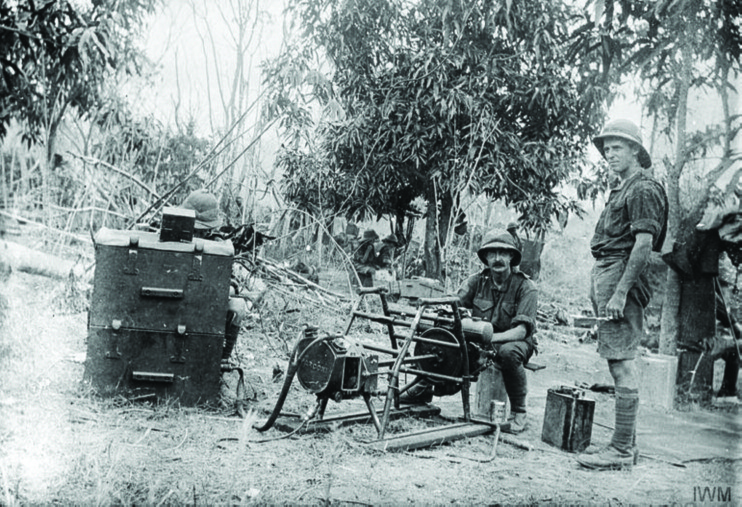 The war in East Africa was a conflict between two small populations of British and German colonials, supported by local African troops. Gradually, the small British force was augmented by troops from Britain, West Africa, the Caribbean, India and South Africa. This was a mobile war over very large distances in a hostile climate: sometimes dry but sometimes very wet. Disease, particularly malaria claimed as many lives as fighting. The German leader, von Lettow-Vorbeck, adopted a ëtip and runí approach: short sharp encounters with the British forces, inflicting as many casualties as possible and then disappearing into the bush. So successful was this approach that after great efforts to defeat him and thousands of miles of marching the conflict itself didn’t actually end until after the Armistice with the surrender of his troops on 23rd November 1918. 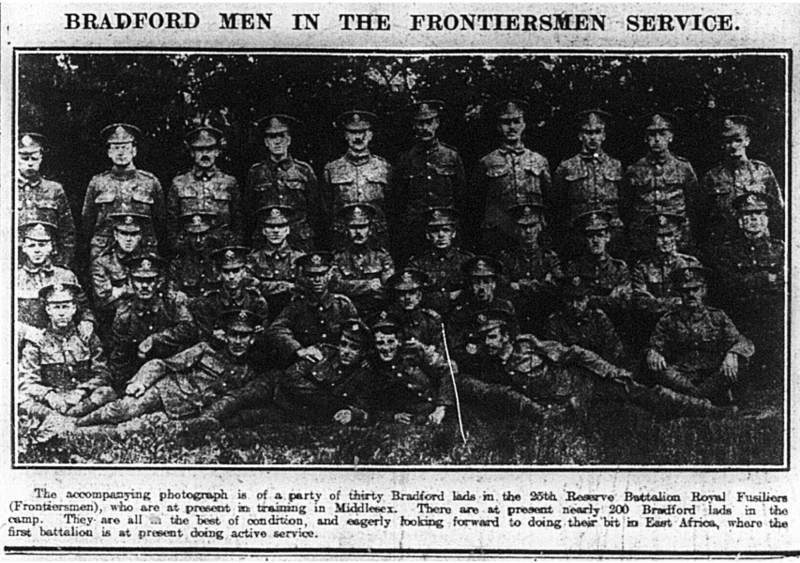 Men from Bradford served in various units throughout the East Africa Campaign. One of the most unusual was the Legion of Frontiersmen which was formed on February 12, 1915 by Lieutenant-Colonel Daniel Patrick Driscoll, who was, at that time, fifty-five years of age, well above that of an average soldier. Driscoll, asked Captain Robinson of Harrogate to raise 200 men from this area to help make up the battalion. An appeal was made by Captain Robinson at the Queen`s Theatre Leeds on February 2 1916. Apparently he had no trouble in raising more volunteers than required to enlist. Amongst these were Edgar Wilks (Frizinghall), Charles Crossley (Manningham), Ellis Ramsden (Chellow Dean) and Elverie Haggas (Manningham). These men were in a large contingent from Yorkshire who went to Hounslow Heath for basic training before proceeding to East Africa in one of two reinforcement drafts in either July 1916 or October 1916. 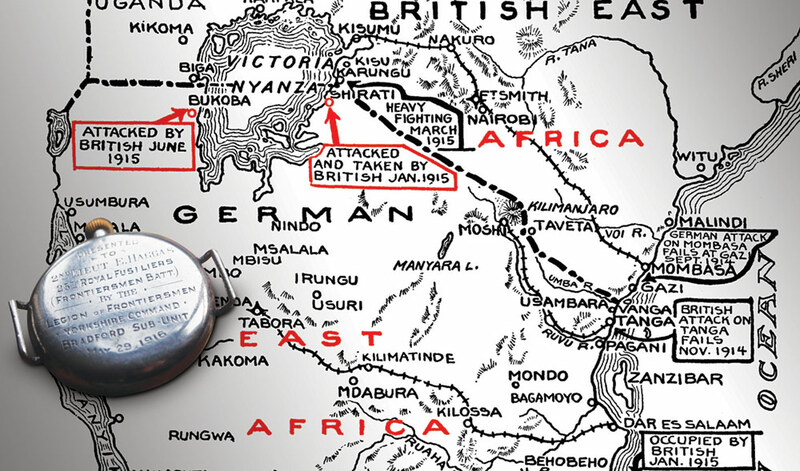 The battalion served in East Africa from 1915-1918, concentrated particularly in the area around Lake Tanganyika. Elverie Haggas, previously a Bradford accountant, was in hospital in Dar-es-Salaam with malaria in June 1917. He eventually returned home in 1919. Wilks, Crossley and Ramsden also survived the war and returned to Bradford. Unfortunately Joseph Rowling and James Lloyd did not survive. 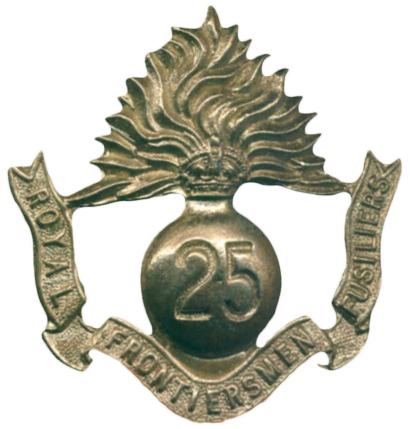 Both were Bradford GPO workers who had joined the Royal Engineers as Sappers when war began. They were in East Africa after January 1916. Joseph died on 14 July 1916 age 36 and is buried at Moshi Cemetery, Tanzania. 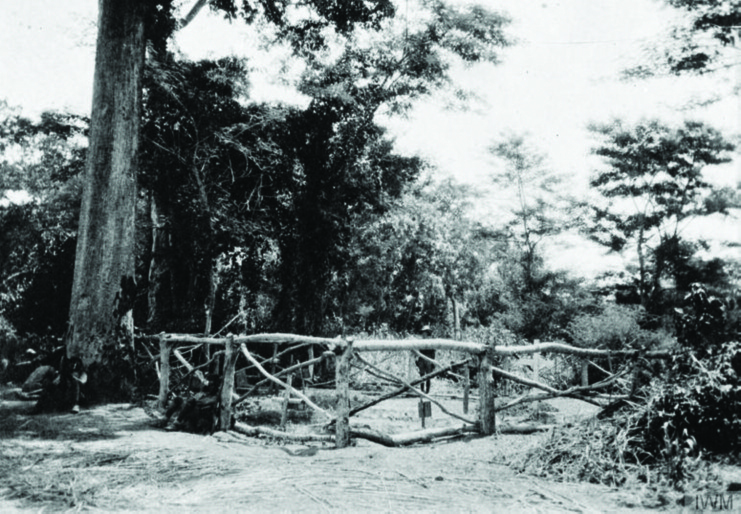 James Lloyd died on 25 September 1917 and is buried at Dar-es-Salaam. Both were married men with children. Poignantly, James Lloyd’s family published an In Memoriam notice on 26 September 1940. Wireless operators Beho Ju (Beho Beho) January 1917. Part of the Cemetery where many of the killed were buried at Beho Beho, January 1917. This graveyard was afterwards consecrated by the Bishop of Zanzibar.